hang in there, i still saw some hope. To be honest, I was ready to see what you saw, but We should not be shaken by it. WE should be strong individually. every change comes from ourself. I was expecting improvement, that no violence. 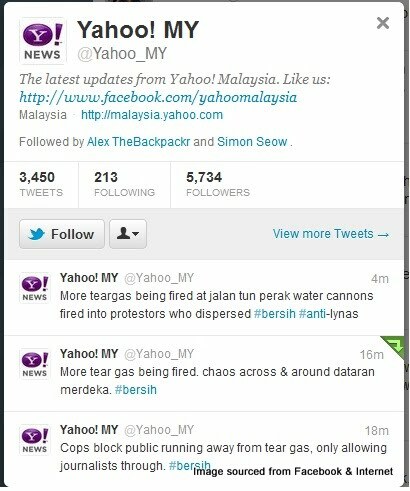 For once i thought Malaysia can have a peaceful protest. Maybe i was disappointed because i put too much hope. 100k and above people showed up, we are naive to think that it would be peaceful. but if this was the level of violence out of so many people. what i would say is, it really could have gotten worst. your comment enlightens me. ya true.. i am too naive to think that the worst will not happen. =) Thanks for the advice. I have to delete your "PRO UMNO MCA ANTI BUDDHIST IN MALAYSIA" comment because it is irrelevant to my blog topic and sorry, i am not interested in any political parties in Malaysia. THis is my 1st time here on ur blog ^ ^ . Actually when the political parties get involved in this event, what happened is somewhat i already expected. 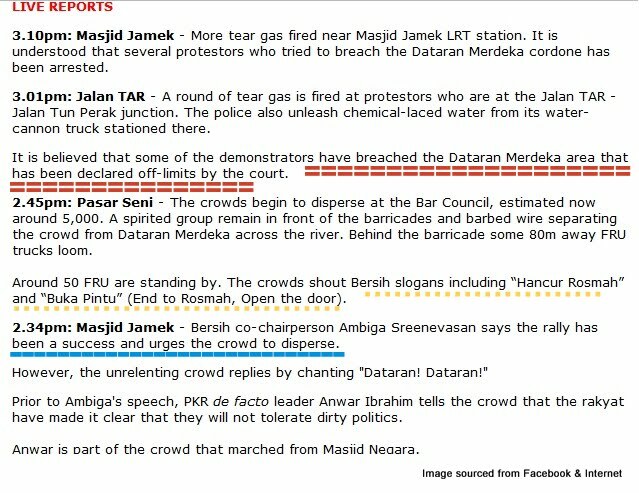 I joined the 1st Bersih where we all marched to the Istana Negara & watched how Anwar hijacked that March, come Bersih 2 the same thing again. I'm not against politician to join Bersih but please leave your political ideology at ur HQ. 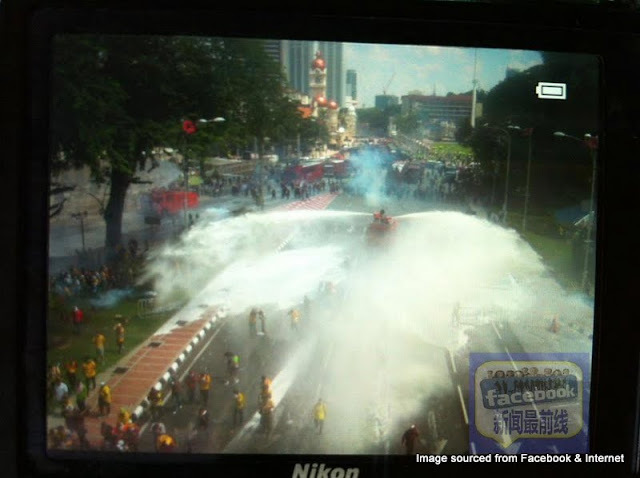 We all rakyat Malaysia here not ur party tool & stooges.